Click here for RealAudio comments by the composer, 1:58/115K. Click here for RealAudio3 version of Rebecca's Child, 1:28/171K. Click here for RealAudio3 version of Yehe Dayr Kabhee Nahe Hogee, 1:00/116K. Click here for RealAudio2 version of All This and More, 2:01/119K. Click here for TrueSpeech version of All This and More, 2:01/126K. Click here for MPEG version of All This and More, 2:01/475K. What can turn a widely respected session musician and sideman in many bands into an innovative composer - the creator of a moving, musically venturesome new CD? 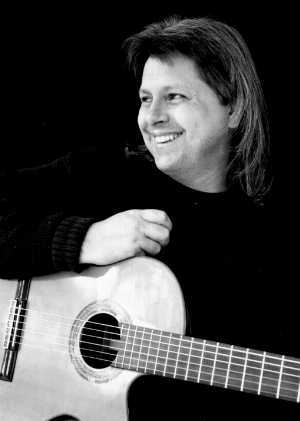 For David Kraus, whose debut album Some Sort of Angel is available from Hochin Music of Montpelier, Vermont, the creative opening came through a crisis. The guitarist, now 43, has had epilepsy since he was 16. 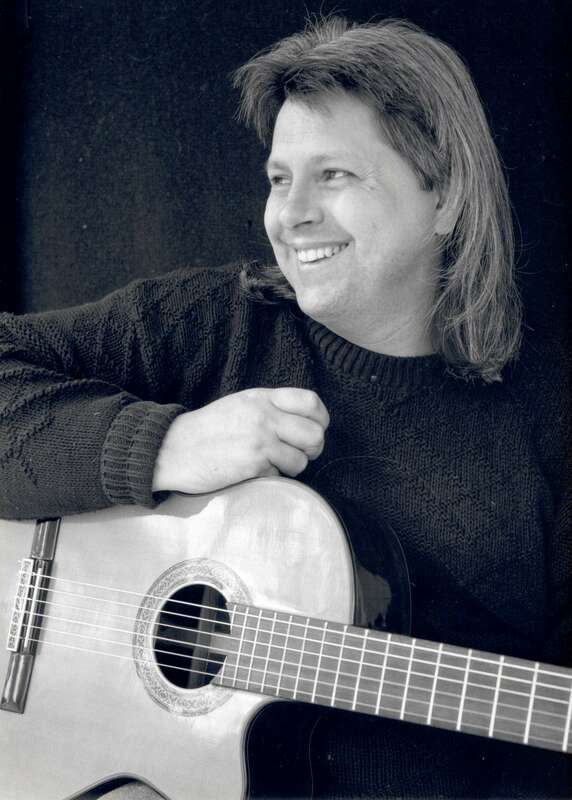 Through nearly two decades as a lead guitarist in jazz, blues and country bands around northern New England, Kraus's malady was controlled by medication. 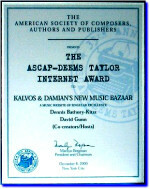 Musically, in recent years David had begun experimenting with some tunes and themes of his own. Yet he made no serious efforts to turn the ideas into full compositions, much less a first-class recording. "I had a therapist who confronted me about that," David said. "He'd say, 'Why are you sitting back? You've got a gift. Why don't you use it?'" Then, three years ago, his medication stopped working. No longer able to head off or predict his seizures, David withdrew from playing and teaching music for nearly a year. "I was living in a state of fear," he remembers. "Finally, I went to see Dr. Peter Williamson and his staff at the Dartmouth-Hitchcock Medical Center Epilepsy Clinic in New Hampshire. They helped me develop a whole new understanding of my condition, and they found a new medication that ended the seizures." Ready to play music again, David had changed. "That time of trauma and crisis made me see a lot, and face a lot," David said. "It brought me to a place of realizing how fragile my life is - and we all are. I said, Now I've got to do something with my life that's worthwhile." 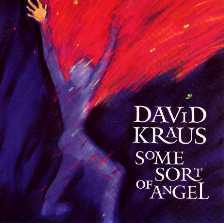 The result is Some Sort of Angel, a CD of original, acoustic jazz ensemble music that brings Kraus's compositions to life with a wide range of musical styles and influences. The album's song titles suggest its inner variety: One is in Hindi, another in Spanish, five in English and one - "Hochin, translating as 'Watcher' - is in Pueblo Indian. "The project opened me up to all kinds of music," said Kraus. "I needed to express what was in my own heart - to add my own voice to the world. It was a calling, something inside. It was like a voice coming up." "A lot of people were surprised that I was doing acoustic music, because I've always been associated with the electric guitar. But the acoustic guitar seemed the natural expression for the ideas that I had emerging. For some reason, I knew things were never going to be exactly the same way, ever again." Kraus's playing has previously appeared on albums released by Rabbit, Silo, Straight Arrow and Burlington Records. Some Sort of Angel was recorded at Charles Eller Studios in Charlotte, Vermont, and has been released by Hochin Music of Montpelier, the capital city where Kraus lives. It is distributed by Silo Records of Waterbury, Vermont. "I don't consider myself a virtuoso - I'm a stylist," Kraus said. "I can't play everything in the world. I feel like I'm a composer now. It's like being a painter. "I'm in the second half of my life, and the music I write comes from the heart," the guitarist/composer concluded. "It means a lot to me."